“Most people know, she’s a world class liar, just look at her pathetic e-mail server statements or her phony landing,” Trump said. Trump condemned Clinton’s “self-serving” lies, reminding the media that she never appeared to suffer the consequences. 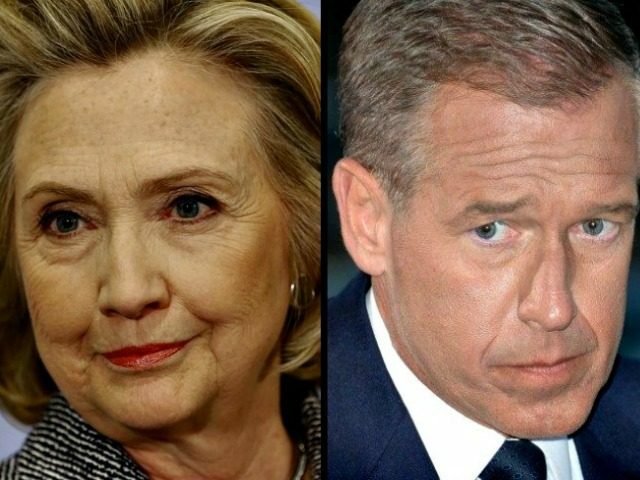 “Brian Williams’ career was destroyed for saying less. Just remember that,” Trump said. The comparison to Brian Williams was well-timed, as the former NBC nightly news anchor was the lead-anchor for Trump’s speech coverage for MSNBC. But Williams and his fellow NBC reporters did not mention his brief cameo in the speech in their post-speech analysis.